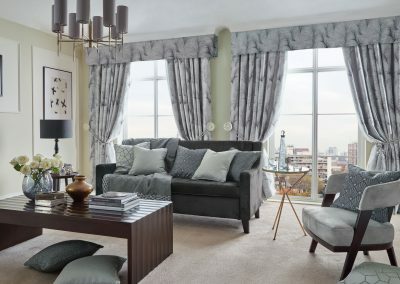 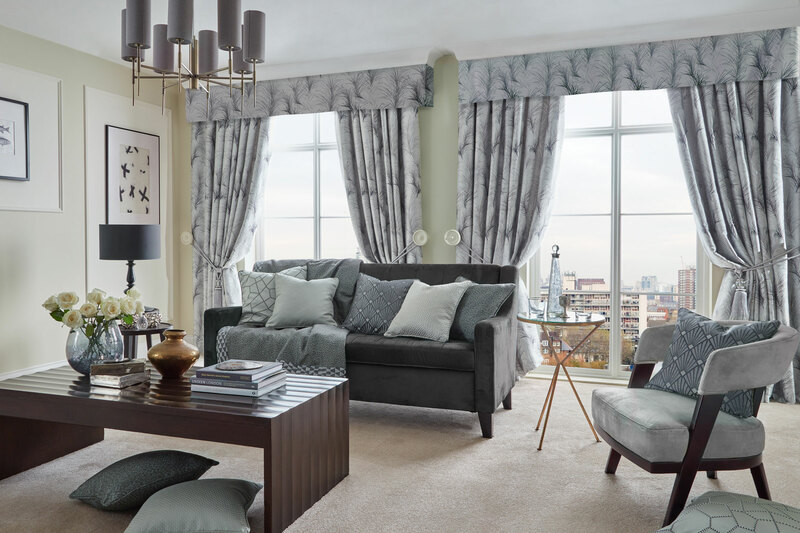 Distinctive also offer a curtain making service to really finish off your room. 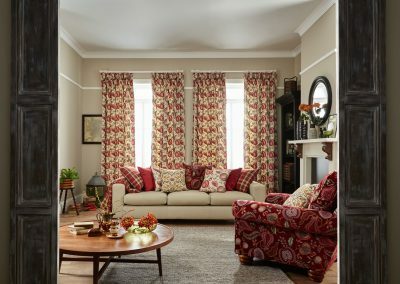 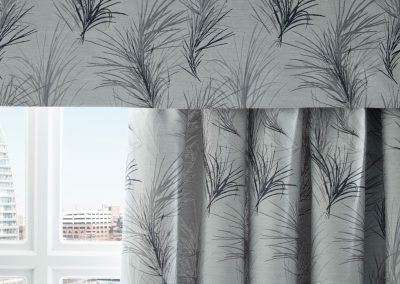 Choose your heading type, whichever fabric catches your eye and whether you would like a pole or track, we will make sure that your curtains really have the impact you desire. 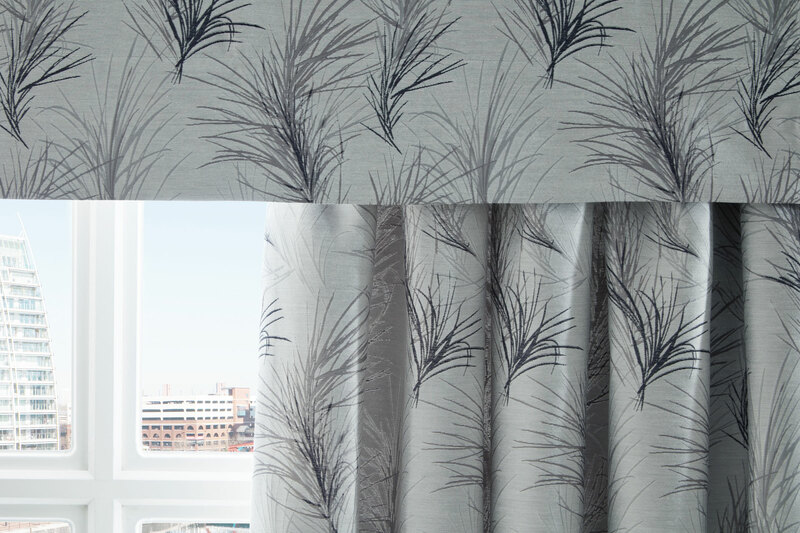 One of the most common types of curtain heading, the pencil pleat works really well with both tracks and poles. 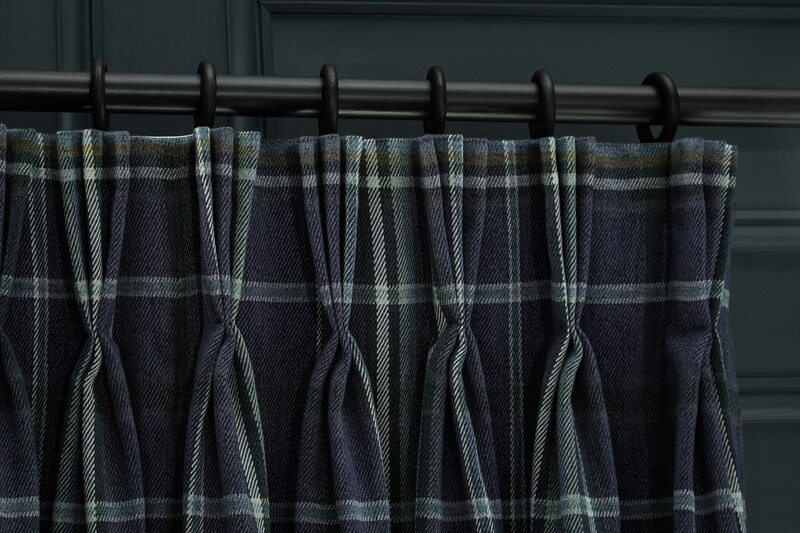 Giving an extremely neat finish and suitable for almost any fabric that you could choose. 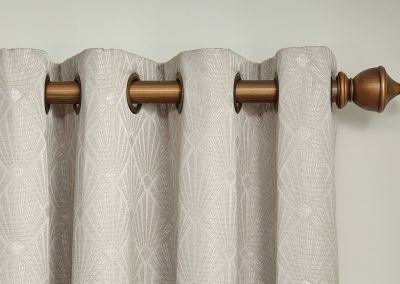 The eyelet heading has more of an informal and modern look than the traditional pleated effect, creating soft curves and a loose flowing fabric. 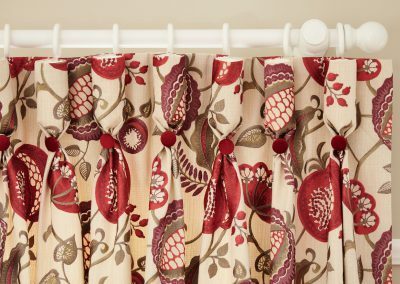 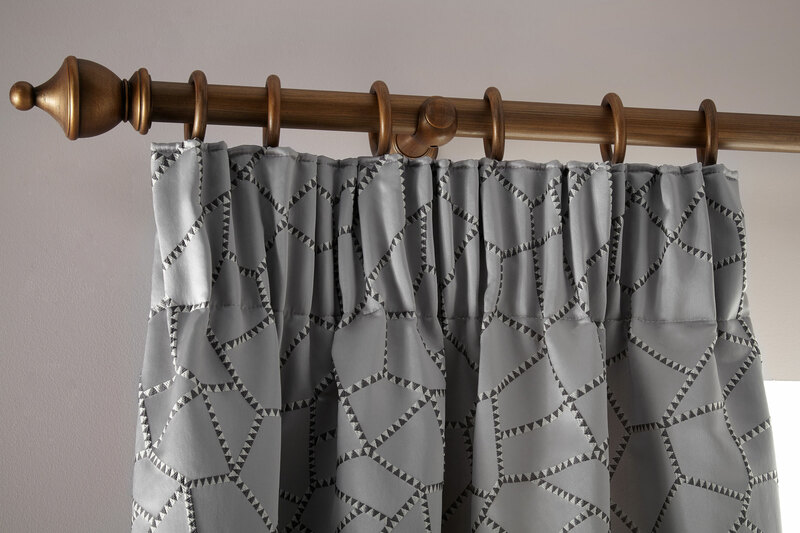 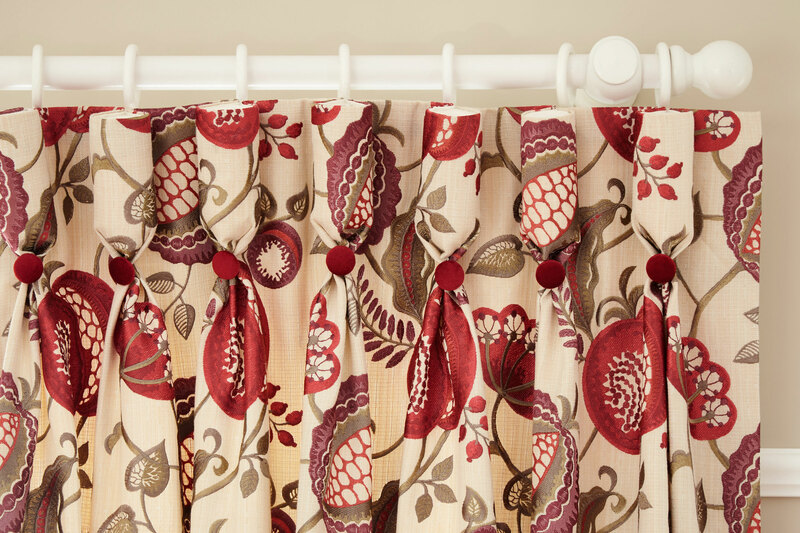 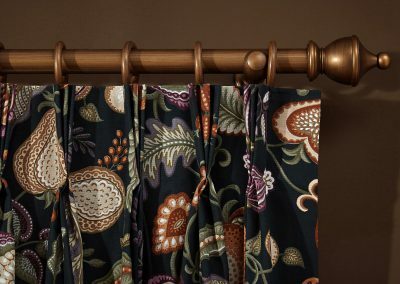 Eyelets can only be used on a curtain pole but look great in any room. 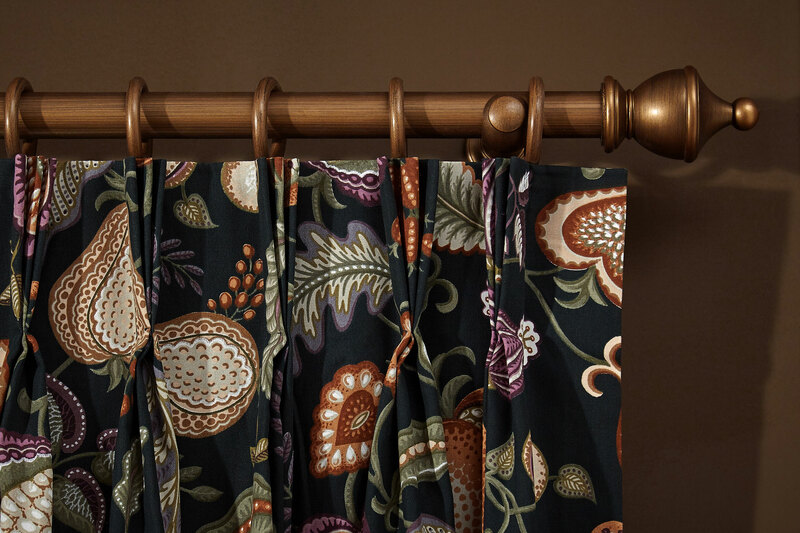 A really elegant and classic heading is the pinch pleat or French pleat. 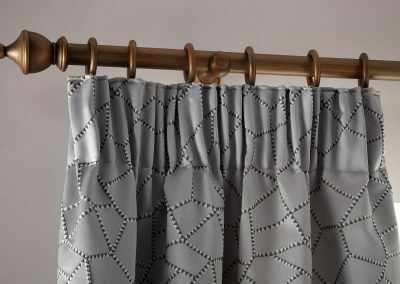 This gives the curtain fabric a neat look with clean folds and defined lines. 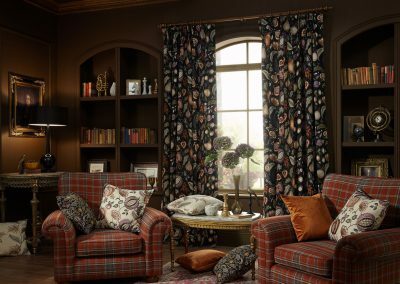 The perfect style for a more formal or traditional sitting room. 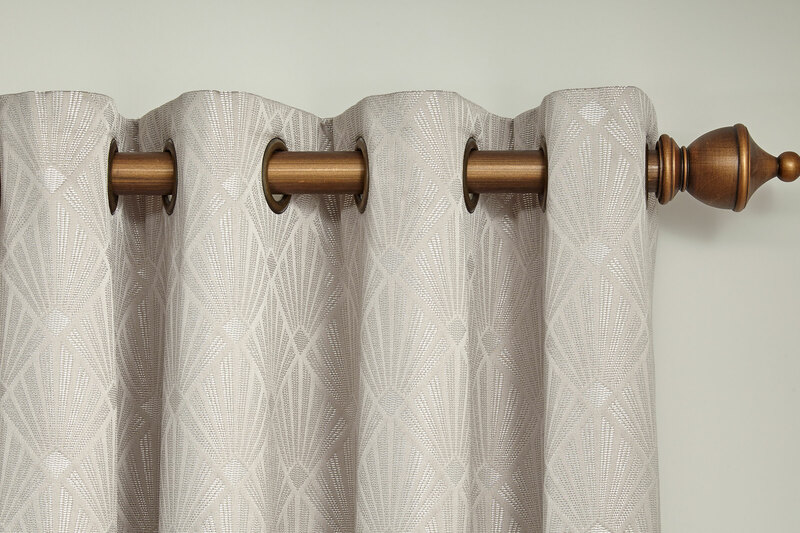 A goblet pleat is a much fuller pleat, giving a really sophisticated effect. 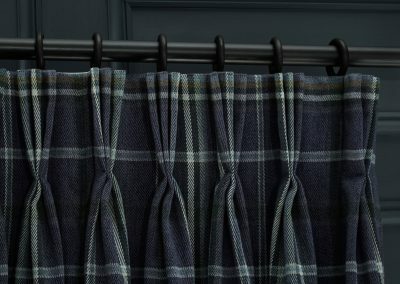 Suitable for heavier fabrics and longer windows. 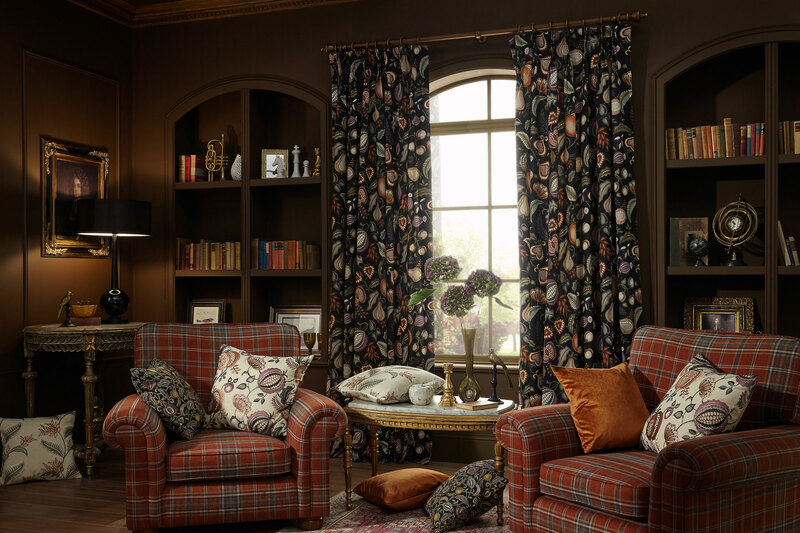 A classic look for any room in your home and creates a real statement with an elegant fabric. 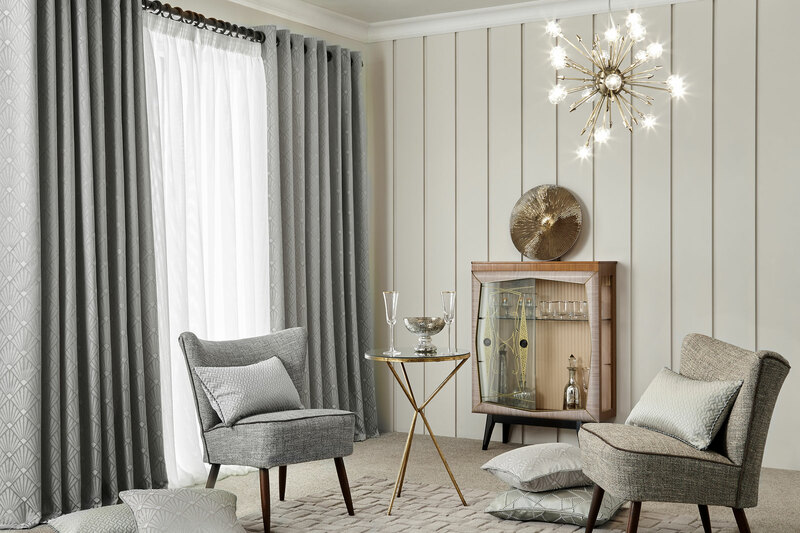 ILIV, part of the SMD Group, boasts over 30 collections of coordinating fabrics and wall-coverings with collections for every taste, all of which can be mixed and matched. 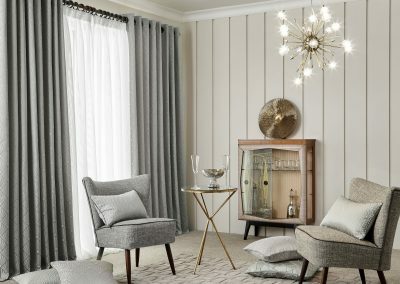 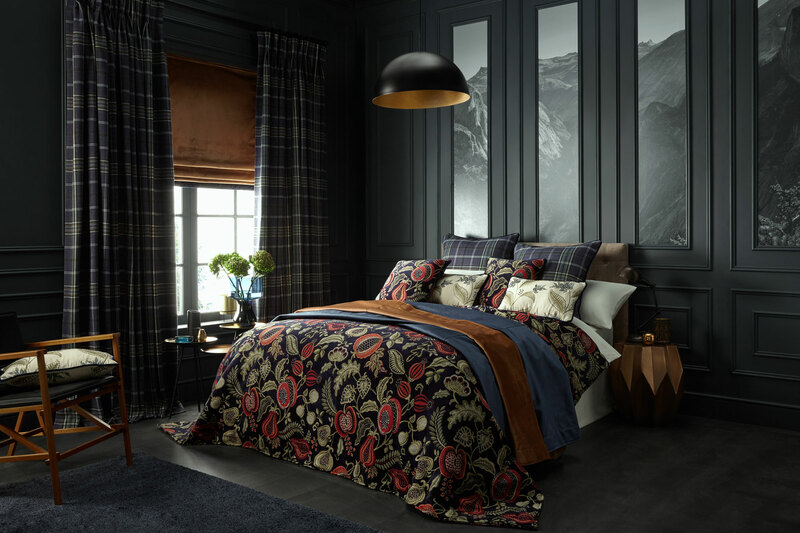 All of our collections provide the opportunity to create distinctive interiors with a combination of colours, textures and decorative techniques that are suitable for all soft furnishings including upholstery, curtains, bed linen, cushions, and wallpaper. 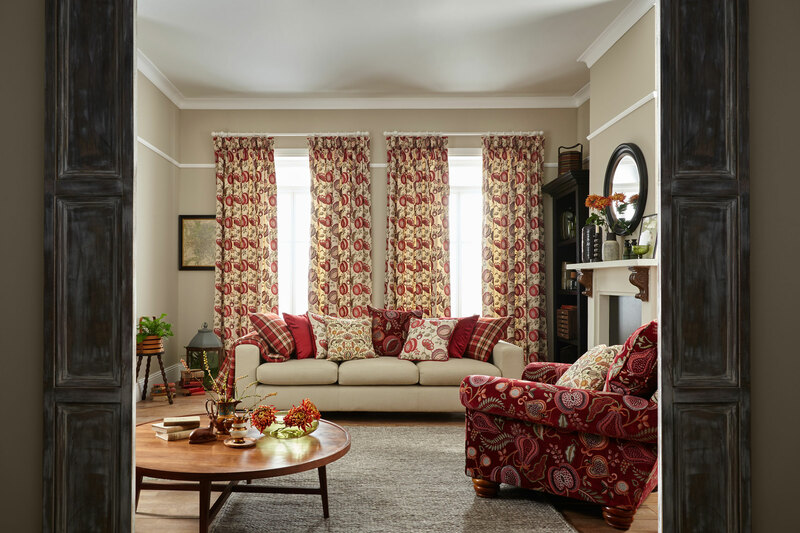 Click on some of the images below to view a few of the styles that we have on offer.